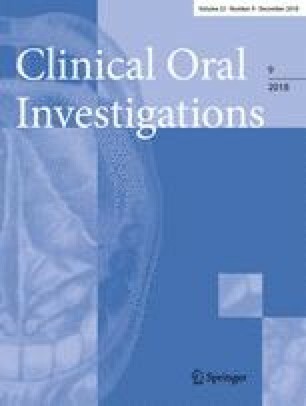 The general aim of this research was to determine whether cessation of community water fluoridation (CWF) increased oral health disparities, as measured by dental caries procedures and restoration costs for children and adolescents. The analysis was based on all Medicaid dental claims records of 0- to 18-year-old patients residing in zip code 99801 (Juneau, Alaska) during an optimal CWF year (2003, n = 853) compared to all claims for the same age group from 2012 (n = 1052), five years after cessation of CWF. A bivariate analysis (Mann-Whitney U test) of the mean number of caries procedures performed per client was conducted in the study groups under both independent CWF conditions. Furthermore, logistic regression was performed using the dependent variables of caries procedures and the cost of caries-related procedures, with adjustments for CWF group, gender, and race. The statistically significant results included a higher mean number of caries-related procedures among 0- to 18-year-old and < 7-year-old patients in the suboptimal CWF group (2.35 vs. 2.02, p < 0.001; 2.68 vs. 2.01, p = 0.004, respectively). The mean caries-related treatment costs per patient were also significantly higher for all age groups, ranging from a 28 to 111% increase among the suboptimal CWF cohorts after adjusting for inflation. The binary logistic regression analysis results indicated a protective effect of optimal CWF for the 0- to 18-year-old and < 7-year-old age groups (OR = 0.748, 95% CI [0.62, 0.90], p = 0.002; OR = 0.699, 95% CI [0.52, 0.95], p = 0.02, respectively). Additionally, the age group that underwent the most dental caries procedures and incurred the highest caries treatment costs on average were those born after CWF cessation. Biofilm management and infection control are essential after periodontal and implant surgery. In this context, chlorhexidine (CHX) mouth-rinses are frequently recommended post-surgically. Despite its common use and many studies in this field, a systematic evaluation of the benefits after periodontal or implant surgery is—surprisingly—still missing. From 691 titles identified, only eleven publications met the inclusion criteria and were finally included. Mainly early publications assessed the benefits of CHX over placebo rinsing, whereas more recent publications focused more on the evaluation of new formulations with regard to effectiveness and side effects. The use of CHX after surgery showed in general significant reduction in plaque (means of 29–86% after 1 week) and bleeding (up to 73%) as compared to placebo. No consensus, however, was found regarding the most beneficial CHX formulation avoiding side effects. The purpose of this study is to survey clinicians’ choice of peri-implant instrument selection and the application used to probe dental implants as well as to evaluate peri-implant probing force and pressure applied as compared to that reported in current literature. 48 clinicians (16 periodontists/periodontal residents, 16 restorative dentists and 16 hygienists) participated in the study. A questionnaire to determine the frequency and method of probing dental implants was provided and subject to the Chi-square test. Each participant was given a choice of three periodontal probes (Marquis, UNC15, Plastic) to use on the typodont and probing force was recorded blindly. Probing force and pressure data were analyzed with ANOVA among subject groups as well as probe types per site; where statistical differences (p < .05) were detected, Tukey’s posthoc test was applied. The questionnaire resulted in a variety of answers although the majority demonstrated an agreement on probing implants in everyday practice. There was no significant difference among provider groups in regard to instrument selection, probing forces and pressure in both maxilla and mandible although the mean probing forces and pressures in all provider groups were higher than the suggested value reported in the literature. This study indicates that there are variations among clinical provider groups with regard to peri-implant probe instrument type used and forces applied, though these are not statistically significant. Probe tip diameter should be considered to avoid BOP false positives when probing dental implants especially as the forces generally used by the clinicians may be higher than advised. Despite the design and engineering challenges, the Water Pik Sonic Fusion team created an innovative product that blends sonic brush technology and water flossing, all housed into one novel device. Periodontal maintenance appointments can be very fulfilling, but they can also be challenging if the patient hasn’t kept up with home care. Here are one seasoned hygienist’s tried-and-true methods for making these appointments great for both patients and clinicians. Do we need abutments at immediately loaded implants supporting cross-arch fixed prostheses? Results from a 5-year randomised controlled trial. Eur J Oral Implantol. 2018;11(4):397-407. To compare the clinical outcome (in particular of marginal peri-implant bone level changes) between immediately loaded straight implants which had definitive abutments placed at implant placement and never removed versus implants which had no intermediate abutments. Thirty-two edentulous patients had one of their jaws rehabilitated with a provisional screw-retained resin reinforced cross-arch fixed prosthesis supported by four immediately loaded implants: two central straight implants and two either tilted or straight distal implants. The two central straight implants were randomly allocated in two equal groups to receive or not an intermediate abutment (Multi-Unit Abutment, MUA) according to a parallel group design. To be immediately loaded implants had to be inserted with a minimum torque of 30 Ncm, which was achieved by all implants. After 4 months, definitive screw-retained metal-ceramic prostheses were delivered and patients were followed-up to 5 years after loading. Prostheses were removed every 8 months to facilitate professionally delivered maintenance. Outcome measures were prosthesis and implant failures, complications, peri-implant marginal bone level changes and bleeding on probing (BoP). Five-years after loading one patient dropped out from each group. No implant or prosthetic failure occurred. Three patients of the abutment group versus one of the no-abutment group were affected by complications (risk difference = 0.125; 95% CI: -0.13 to 0.37; Fisher exact test, P = 0.600). At 5 years, both groups lost marginal bone in a statistically significant way (0.32 ± 0.40 mm for patients of the abutment group and 0.35 ± 0.29 mm for patients of the no-abutment group), with no difference in bone loss between groups at patient levels (difference = 0.03 mm; 95% CI: -0.23 to 0.29 mm; P = 0.809). At 5 years, BoP was significantly higher in the no-abutment group than in the abutment group (difference between medians = 25%; 95% CI: 12.5% to 25%; P < 0.001). By considering only the average of the two central study implants per patient with and without intermediate abutments, there were no differences in bone loss (difference: -0.05 mm; 95% CI: -0.41 to 0.31 mm; P = 0.763), while marginal bleeding was significantly higher in the no-abutment group (difference between medians = 25%; 95% CI: 0% to 50%; P = 0.004). The present results suggest that intermediate abutments may not be needed at immediately loaded cross-arch screw-retained prostheses, unless there is the necessity to correct implant angulation.